O.D.S. Marine is a Canadian company specializing in Marine Construction and Engineering Services, Commercial Diving, Boat, Barge and Tug Rentals. 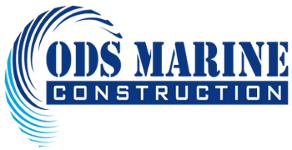 We use experienced personnel and the latest professional equipment, have $2,000,000+ liability insurance for marine work and are in good standing with the Workers' Compensation Board. Our trained staff can inspect, service and refill cylinders from Scott, Draeger, M.S.A., etc. up to 4500 psi at our CSA certified air station. We have specially trained personnel and equipment for working in contaminated environments. Our trained personnel, available on a 24 hour basis, equipped with Scott-Paks, positive pressure breathing apparatus, Cascade system, and two way communications are available for contaminated air space entry. Our well equipped fabrication shop is used to supplement our customers' requirements as well as for our own equipment maintenance. In fact, the majority of our floating equipment was built and designed in our shop by our personnel. Does the company have Workers' Compensation Clearance certificates with job classification #836? Does the company have Liability insurance naming your company as co-insured? Does the company supply you with a copy of Diving Project form from the Ministry of Labour? Does the company have Full Time divers on staff? If The Answer To All Of These 4 Questions Is YES, You Have Hired O.D.S. Marine!